Ready to sell you home? Fill out our Home Sellers Request Form and an agent will get in touch with you shortly. So you’ve decided to sell your property. Before moving forward it is important to have a clear understanding of why you are selling and what do you hope to gain from the sale? Having the right team of professionals to assist you is paramount. What is prompting your decision? Do you need a larger property? Is it time to downsize? Do you want to move to another neighborhood, school district, city or state? Are you moving because of an employment change? Being clear about your reasons for selling will make it easier for us to assist you in determining the most appropriate options for your specific financial, lifestyle and real estate goals. Bay Area Elite Properties makes it our goal to understand your needs and help you achieve your goals when selling your property. When is the best time for you to sell? Often the answer to this question may be impacted by the reason you are selling. If your reason for selling is a job transfer than timing may be relative; if you have school age children then you may want to consider a move during the summer months of mid-semester. What is the temperature of the market…is it a seller’s market or buyer’s market, a flat market or volatile market? Our experts will listen to your needs and help you determine when the “best time” is for YOU! The property you are selling may be from an estate, an investment property, a second home. Our team of experts will assist you in all these area. We have experts that can assist with probate issues, hardship affidavits, 1031 tax exchanges and resort properties. Bay Area Elite Properties is prepared to be your real estate consultants…for life! Which party is he or she representing? The agent should discuss your state’s particular definitions of agency, so you’ll know where you stand. You’ve heard it said “The first impression must be your best”, “There no second chance to make a first impression”, “Put your best for forward”. Well all of this is paramount when selling your property. You must create a lasting impact on potential buyers. There is a lot that can be done to appeal to today’s homebuyers and ensure that your home makes the best impression. Curb Appeal: Pressure wash all the concrete in front of the house…driveway, sidewalks, and yes, the curb you’ll be surprise how this will brighten up the front of your home. Keep your landscape pristine, bushes and trees trimmed, mulch turned and adding a few seasonal perennials always catches the eye of passers-by and potential buyers. Property Repairs: Make sure all those outstanding honey-dos are complete…tighten the loose door knob, w-d 40 on those squeaky doors, polish door knobs, replace those burned out light bulbs, replace worn or rusted fittings on the water heater. Even simply updates like a fresh coat of paint in the entry, den or a child’s room will make the property look new again and catch a good eye. Cleanliness and Staging: Uncluttered, fragrant and light are the key words here. Remove all the more personal items from your property; limit the number of knick-knacks, family portraits and valuable/breakables. Keep the property smelling light and fragrant…a pleasant neutral scent like vanilla, lavender or cinnamon work well. Remove the kitty box and the puppy pads. Natural light works best so keep the blinds open, drapes pulled back and a lamp on in darker rooms. Staging a property is also an important step…this often helps create a more welcoming and neutral feel so that potential buyers can see themselves there. At Bay Area Elite Properties we have an interior re-design and staging specialist that will work with our sellers to ensure your property provides the best look and feel for today’s homebuyers. Disclosures and Inspections: It is important that you properly disclose the condition of the property you are selling. Receipts or warranty certificates on recent updates to your property are very helpful and often appreciated by potential buyers. In addition, being prepared for what inspections a buyer may have performed will help the process of selling your property transition much smoother. Showtime: It is very important that potential buyers feel comfortable when viewing your property. One key step to ensure this is to not be present when the property is showing. Buyers tend to linger longer and view the property’s feature in more detail when the seller is gone than if they stay. Buyers need to feel comfortable opening closets, visualizing their belongs in the property, taking a moment to sit on the couch and picture themselves living here. Be certain that all valuables, firearms and antiques are out of harm’s way and leave the property. The Price is not always what it seems to be! Don’t let yourself be fooled by the popular misconception that “the highest price is always the best offer.” The price alone is not always enough to be the determining factor when accepting an offer. You must weigh all the terms of the contract offer before agreeing solely on price. Our team of experts will assist you in evaluating all offers fully without compromising your marketing position. We take the ethical responsibility of fairly negotiating contractual terms very seriously. It is our responsibility to ensure you understand your offer fully and assist you in evaluating its terms. You may even have to review multiple offers simultaneously before ratifying the one you judge to be the most suitable for you and your goals. As your agent we will guarantee a thorough and objective assessment of each offer to assist you in making the right choice. Once an offer is deemed acceptable to you and is signed by all parties it becomes a legal document noting an agreement between the parties, buyer and seller. Keep a copy of all written documents. It is important that all further negotiations, counter-offers and addendums, relating to the contract also be in writing. Be sure to note that there are many clauses within the terms of the agreement that are time sensitive and must be followed stringently. Your agent will keep you updated and ensure you are prepared for each step of the transaction. 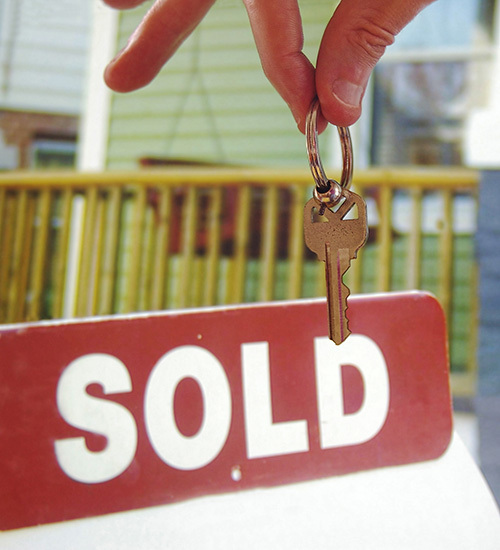 The period of time from an accepted purchase offer until closing of the sale is called escrow. During this period of time the buyer may elect to have a home inspection completed. Although a mechanical, structural or pest inspection is not mandatory it is an important step so that they know what they are purchasing. Once inspections have been completed the buyer may contact us to discuss any options that may be available under the contract terms. If the buyer will be purchasing your property with third party financing the lender will require an appraisal of the property. An appraisal is an analysis of the subject property compared to similarly sold properties within the neighborhood to determine its market value. The lender will arrange for the appraisal to be completed. There may be terms of the contract that may need to be reviewed once the appraisal is completed. Either a title company or an attorney will be selected as a closing agent whose responsibility is to execute a title search, review encumbrances, association by laws, etc. Once a review is completed the buyer may be provided a commitment of title insurance; the closing agent will also notify you of any liens or other encumbrances that must be cleared by you in order to complete the sale. Bay Area Elite Properties has an experienced team of professionals to ensure your transaction is smooth and seamless. Final Walk-thru Inspection: usually completed within 48 hours prior to closing of escrow your agent will arrange for the buyer to walk thru the property one final time before closing. At this time any negotiated repairs must have been completed, and if there is any special amenities such as in-ground pool or sprinkler system this is a great time to demonstrate to the buyer how the equipment operates. If the property is in a neighborhood with mail cluster boxes you will want to identify where your property mailbox is. Home Services and Utilities: if you haven’t already made arrangements for the utilities to be disconnected you will need to do so now. Remember to also contact your security company if you have a monitored alarm. Keys/Locksmith: in addition to the front door key be certain to collect garage door remotes (often forgotten on the car visor) and mailbox key. Title Company: Your closing documents will be signed at the title company or attorney designated in your purchase contract. Your REALTOR® will provide you with a copy of your settlement statement within 24-hours or more of closing. You will need to bring your valid photo ID to your closing.